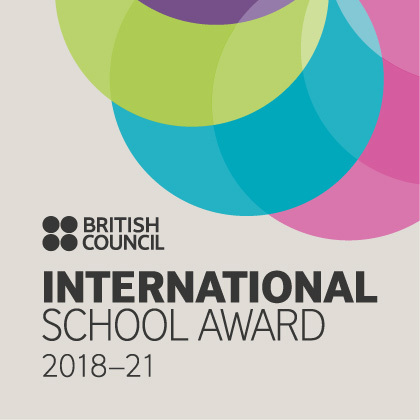 We are delighted to announce that Swarnim International School has been successful in gaining the International School Award (ISA) and is accredited by the British Council for the period 2018-21. This recognition is the culmination of the hard work of the ISA coordinators, commitment of the teachers, enthusiasm of the students, cooperation from parents, support of the administrative staff, help from our overseas partner schools and motivation of the school management. 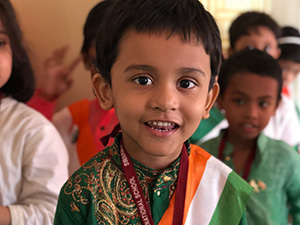 It is indeed a great achievement for the school to have successfully conducted the activities with international dimensions and get the ISA in the very second year of its inception. The International School Awards programme gave us the scope of excellent international activities to develop and benefit the school community. We collaborated with four schools from three different countries, namely, the United Kingdom, Egypt and Pakistan. We are determined to uphold the commitment, creativity and innovative international work which we have done throughout the year and greatly appreciated by all. Regular dates - We recognize the important role parents play in the learning process of a child. We organize programs for parents to participate in the learning process on a regular basis. Regular parent teacher interaction binds us in a relationship of trust. 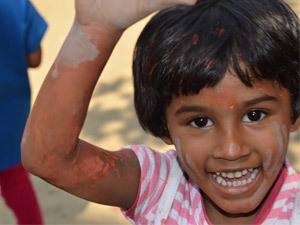 At Swarnim, learning is spelt F-U-N. Because children learn best when they are happy. The teacher-student ratio is 1:25. Direct admission from pre school to Swarnim International School. Transport facility will be provided at an additional cost.